WASHINGTON (May 179, 2017) – (RealEstateRama) — Two more innovative technology companies have been selected to join REach®, a growth technology accelerator program from the National Association of Realtors®’ strategic investment arm, Second Century Ventures. Adwerx, a digital advertising provider, and immoviewer, a 3-D virtual tour technology company, will join the seven other companies announced last month as part of the fifth REach class. REach provides early-to mid-stage companies with access to NAR’s industry expertise, influence and key relationships to help launch companies into the real estate, financial services, banking, home services and insurance industries. Adwerx provides cost-effective, highly-targeted and localized online advertising for real estate brokers, agents and listings. 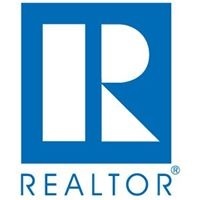 “By participating in the NAR REach program, Adwerx is in a great position to expand our footprint in real estate and strengthen our relationship with NAR. The opportunity to be part of the class of 2017 is perfect timing for us with the launch of our enterprise offering of marketing automation to brokers and franchises,” said Adwerx CEO Jed Carlson. The newest trend in real estate listing marketing is 360 degree virtual tours, and immoviewer’s 3-D virtual tour software makes the process simple and affordable. “As the European market leader in 3-D virtual tour technology and the first international company to be selected to participate in the REach program, we are excited about the opportunity to accelerate and expand the use of this technology among real estate professionals in the U.S.” said immoviewer CEO Ralf von Grafenstein. The seven other organizations making up the 2017 REach class are Centriq, an app that transfers home repair and maintenance knowledge from the seller to the buyer and keeps agents connected to their clients after the transaction; HouseCanary, a leading source for residential valuations and analytics; Notarize: a remote electronic notary service; Occly: a portable alarm solution that helps protect real estate professionals and properties; Pearl Certification, which certifies homes with features that contribute to its comfort, energy performance, indoor air quality and value; Relola, a site for agents to share insights about local listings, neighborhoods and service providers with clients; and Trusted Mail, a certification program that uses facial-biometrics to sign and encrypt email and attachments to protect against wire fraud and email spoofing. NAR’s 2017 REach accelerator companies will be showcasing their innovative technology solutions this week during the REALTORS® Legislative Meetings in Washington, D.C., at the trade expo on Wednesday, May 17 and Thursday, May 18 from 10:00 a.m. to 6:00 p.m. at booth #1731. Second Century Ventures(link is external) is an early-stage technology fund, backed by the National Association of Realtors® that leverages the association’s 1.2 million members and an unparalleled network of executives within real estate and adjacent industries. SCV systematically launches its portfolio companies into the world’s largest industries including real estate, financial services, banking, home services, and insurance. SCV seeks to define and deliver the future of the world’s largest industries by being a catalyst for new technologies, new opportunities, and new talent.